A strenuous but exhilarating hike, Mt Solmar affords jaw dropping views of the landscape and the ocean. Not an extremely popular option with tourists or locals, the hike is nonetheless an adrenaline packed adventure that rewards you well at the end of it. There are a number of access points to the trail and almost none of them are easily locatable, but if you do manage to find your way to the foot of the hills, you will be surprised to see the beauty that awaits your eyes. There are a number of resorts and hotels where you can stay in order to soak in the beauty of this mountain. 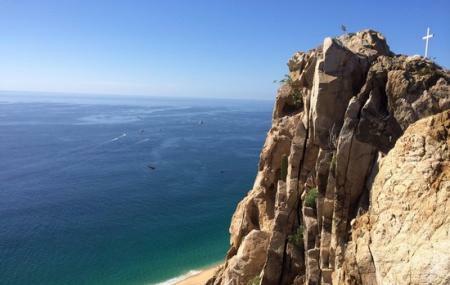 From the top of the mountain, you can enjoy beautiful views where the Sea of Cortez and Pacific Ocean meet. Just keep in mind that this hike is not meant for people who are fragile in feet. One of the access to the trail is through a private property, do be mindful of the repercussions of trespassing. Carry plenty of water with you and wear comfortable, durable shoes. Take a taxi till the marina and start the hike from here. How popular is Mt Solmar? People normally club together El Arco De Cabo San Lucas and Vitrofusion Glass Blowing Factory while planning their visit to Mt Solmar.